Zoltan Rihmer, M.D., Ph.D., D.Sc. Prof. Zoltán Rihmer, MD, PhD, DSc, received his medical diploma in 1971 at the Medical Univesity of Pécs, Hungary. Since then till 2007 he worked at the National Institute for Psychiatry and Neurology, Budapest, Hungary. From 2007, he is a professor of psychiatry at the Department of Psychiatry and Psychotherapy, and the scientific director at the Department of Clinical and Theoretical Mental Health, Semmelweis University, Faculty of Medicine, Budapest, Hungary. Dr. Rihmer has passed three special examinations: psychiatry (1976), neurology (1979) and clinical pharmacology (1990). He received his PhD at the Hungarian Academy of Sciences in 1993, and his DSc in 2004. His special interest is the clinical and biological aspects of mood and anxiety disorders, with particular regards to prediction of treatment response and prevention of suicide. An additional interest of him is the interface of mood and cardiovascular disorders. He has published more than 370 scientific articles/book chapters (more than 190 in English) and four books. His cumulative impact factor is above 400, and the number of his citations is around 2000. He received the Nyírő Gyula Award of Hungarian Psychiatric Association (1987), the Brickell Suicide Research Award of the Department of Child and Adolescent Psychiatry, Columbia University, New York (1999), the Life Achievement Award of the Hungarian Psychiatric Association (2005), the Premio Aretaeus of the Associazione per lo studio della malatia maniaco-depressiva (2010), and the „Dr. Szabó György Award” of the Hemingway Foundation, Hungary (2010). He is National Clinical Audit Lead in Psychiatry of Hungary. 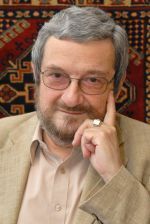 Prof. Rihmer is a member of several Hungarian and international scientific boards and associations, including the editorial boards of Journal of Affective Disorders, International Journal of Psychiatry in Clinical Practice, Neuropsychobiology, World Journal of Biological Psychiatry and Suicidology Online. He was also a member of the Executive Committee of the European College of Neuropsychopharmacology between 2005 and 2010. ARATÓ M, RIHMER Z, CSISZÉR N, FEKETE M, TELEGDY G. Az alvásmegvonás hatása a kortizol szekrécióra endogén depresszióban. Ideggy. Szemle, (1980); 33: 340-345. Vecsey T., Harmati L., Szabó Z., Kelemen A., Rihmer Z., Szegedi M.: A szívtranszplantáció pszi­choszociális vonatkozásai, Cardiologia Hung. 23 (1994) 21—24. Rihmer Z.: Relationship between recognized depression and suicide in Hungary, International Journal of Methods in Psychiatric Research, 6 (Suppl.) (1996) S15-S20. RUTZ W, WALINDER J, PIHLGREN H, von KNORRING L, Rihmer Z. Lessons from the Gotland Study on depression, suicide and education: Effects, shortcomings and challenges. International Journal of Methods in Psychiatric Research, 6 (Suppl.) (1996) S9-S14. Rihmer Z., Varga D.: Psychiatriai tünetek mozgászavarokban. In: Depresszió, Parkinson-kór és egyéb mozgászavarok, szerk. Takáts A., Melánia Kiadó Kft. : Budapest (2001), 247—250. Rihmer Z., Pestality P.: Antidepresszívumok és hangulatstabilizátorok, A pszichiátria magyar kézi­könyve, szerk. Füredi J., Németh A., Tariska P., 2. kiadás, Medicina Kiadó: Budapest (2002), 541—554. Rihmer Z.: Öngyilkosság, A pszichiátria magyar kézikönyve, szerk. Füredi J., Németh A., Tariska P., 2. kiadás, Medicina Kiadó: Budapest (2002), 721—728. Rihmer Z.: Affektív zavarok. In: Gerontológia, szerk. Tariska P., Medicina Kiadó: Budapest (2002), 327-344. Rihmer Z.: Bipolar II is bipolar, too. In: Bipolar disorders, ed. by Maj M., Akiskal HS, López-Ibor YY, Sartorius N., John Wiley and Sons, Ltd.: Chichester (2002), 87-89. Rihmer Z., Kecskés I., Harmati L.: Pszichiátria és belgyógyászat. In: A pszichiátria magyar kézikönyve, szerk. Füredi J., Németh A., Tariska P., 2. kiadás, Me­dicina Kiadó: Budapest (2002), 745-751. Rihmer Z. Antidepresszív és antimániás gyógyszerek. in: Humán Farmakológia. A racionális gyógyszerterápia alapjai (szerk. Vizi E. Sz. ), Medicina Könyvkiadó, Budapest, (2002), 264-282. Rihmer Z., Kiss K. Bipolar disorders and suicide risk. Clin. Appr. Bipol. Disord. (2002), 1:15-21. Kiss K., Rihmer Z. Suicide in major affective disorders. Risk factors with particular regards to grief-reaction. Psychopharmacol. Hung. ( 2002) 4:184-192. Belső N., Rihmer Z.: Depresszió, szorongásos betegségek és öngyilkosság, A háziorvoslás gyakorlata, Szerk. Arnold Cs., Medicina Kiadó: Budapest (2002), 595-608. Rihmer A., Rihmer Z.: Creativity and mental illness, Neuropsychopharmacol. Hung. (2002), 4:5-8. Rihmer Z., Belső N., Kiss K., Tüzkő N., Paulin F.: Major depressive disorder and response to citalo­pram treatment in women attending menpoause clinic, In: Mental Health of Women, Ed. by Gaszner P., Halb­reich U., Animula Publ. Co.: Budapest (2002), 32-37. Rihmer Z. , Pestality P: Antidepresszívumok és hangulatstabilizátorok. In: A pszichiátria rövidített kézikönyve, Szerk. Füredi J, Németh A., Tariska P. Medicina Kiadó: Buda­pest (2002), 493-510. Rihmer Z, Harmati L: Pszichiátria és belgyógyászat. In: A pszichiátria rövidített kézikönyve; Szerk. Füredi J, Németh A., Tariska P. Medicina Kiadó: Buda­pest (2002), 663-673. Pestality P, Rihmer Z. A depresszió kezelése, a depresszió gyógyszerei. Praxis( 2003); 12:49-52. Döme P, Rihmer Z, Ferencz Cs. : Depresszió és hypothyreosis. Neuropsychopharmacol. Hung . ( 2003); 5: 28-34. Mandl P, Rihmer Z, Döme P, Kiss HG, Pestality P, Kecskés I, György S., Belső N: Depresszió, pánikbetegség és dohányzás. Neuropsychopharmacol. Hung. ( 2003) 5: 13-16. Tylee A., Rihmer Z.: Suicide and attempted suicide. In: Oxford Textbook of Primary Medical Care, (Ed. : Jones R., Britten N, Culpepper L, et al. ), Volume 2. Clinical Management. Ox­ford University Press: Oxford, 2004, pp. 959-962. Rihmer Z. A depressziók eredményes kezelésének hatása az öngyilkossági halálozás alakulására. Orvosképzés (2003) :78: : 95-99. Belső N, Kiss K, Rihmer Z, Tüzkő N, Tóth J, Paulin F: Major depressive disorder and response to citalopram treatment in women attending menopause clinic. Int. J. Psychiat. Clin. Pract, ( 2003), 7:269-272 IF: 0,142. Rihmer Z. Comorbidity between phobias and mood disorders: diagnostic and treatment implications. In: Panic and Phobias (Ed: Maj M); John Wiley and Sons, Chichester (2004,) pp 103-1. RIHMER Z, KISS K. Risk factors for suicide in bipolar disorders. In: Bipolárna Porucha (Ed: Vavrusova, L.) Vydavatlestovo Osveta, Martin, (2004), pp 86-101. RIHMER Z, KÁNTOR Z, RIHMER A, SEREGI K. Suicide prevention strategies – A brief review. Neuropsychopharmacol. Hung. (2004), 6: 195-199. RIHMER Z, SEREGI K, RIHMER, A. Parkinson’s disease and depression. Neuropsychopharm. Hung. (2004), 6: 82-85. Rihmer Z. Suicide in bipolar disorders. Tele-Lecture. Journal of Bipolar Disorders: Reviews and Commentaries. (2004), 3: 10-11. RIHMER Z. Is male depressive syndrome bipolar, rather than unipolar ? Journal of Bipolar Disorders: Reviews and Commentaries, (2004), 3: 19. Rihmer Z. Depresszív és mániás kórképek. In: Geriátria – Az időslkor gyógyászata (Szerk. Székács B. ), Medicina Könyívkiadó, Budapest, 2005, 199-205. ÁGOSTON G, Rihmer Z. Szorongás, paranoid psychosis. In: Geriátria – Az időskor gyógyászata, (Szerk. Székács B. ), Medicina Könyvkiadó, Budapest, 2005, 206-209. RÉTHELYI J, SZÁDÓCZKY E, RIHMER Z, BITTER I. Duloxetin, a kettős hatású, szerotonerg-noradrenerg visszavételt gátló szerek csoportjának új tagja. Psychiat. Hung. (2004) 19: 479-486. Rihmer Z. Prediction and prevention of suicide in bipolar disorders. Clin. Neuropsychiatr. (2005) 2, 48-54. Rihmer Z. A depresszió, mint a kardiovaszkuláris betegségek rizikófaktora. Háziorvos Továbbképző Szemle, (2005), 10: 15-18. RIHMER Z, SEREGI K, PESTALITY P. Az unipoláris depresszió farmakoterápiája. Háziorvos Továbbképző Szemle, (2005):10, 567-573. ALMÁSI J, Rihmer Z. Az antidepresszívumok áttekintése a TCA-któl a harmadik generációs szerekig. Neuropsychopharmacol Hung, (2005), 6: 185-194. RIHMER Z, KECSKÉS I. Növelik-e az antidepresszív szerek az öngyilkosság rizikóját ? Háziorvos Továbbképző Szemle, 2005, októberi különszám, 58-64. LAKATOS L, Rihmer Z. 1+1 vagy 2×1 ? Kettős antidepresszív hatásmehanizmus másképp- Neuropsychopharmacol. Hung. (2005), 7: 118-124. Rihmer Z. (F)okozzák-e az antidepresszívumok a szuicid rizikót ? Psychiat Hung, (2005), 20: 380-387. RIHMER Z Suicide prevention. In: Bipolar Psychopharmacotherapy. Caring for the Patient. (Eds: Akiskal, HS, Tohen, M.) John Wiley and Sons, Chichester, 2006, pp:.353-365. Rihmer Z. Antidepressants and suicide (Editorial) Studies on Aggressiveness and Suicide, (2005), 6: 5-9. RIHMER Z, ANGST J, Epidemiology of bipolar disorders. In: Handbook of Bipolar Disorders, (Eds. : Kasper S. and Hirschfeld RMA. ), Taylor and Francis, New York, 2005, pp 21-35. RIHMER Z, SEREGI K. A vaszkuláris rizikófaktorok jelentősége az időskori depresszió kialakulásában. Háziorvos Továbbképző Szemle, 2006, 11: 344-348. RIHMER A,KÁRTESZI M, CSISZÉR N, FARKAS Á,Rihmer Z. Öngyilkossági kísérletet elkövetők pszichiátriai és pszichoszociális jellemzői: A komorbiditás jelentősége. Neuropsychopharmacol. Hung. (2006), 8 (Suppl.) 15-18. RÓZSA S, RIHMER A,, KŐ N, GONDA X, SZILI I, SZÁDÓCZKY E, PESTALITY P, Rihmer Z. Az affektív temperamentum: A TEMPS-A kérdőívvel szerzett hazai tapasztalatok. Psychiat. Hung. (2006), 21: 147-160. Rihmer Z. Similarities and defferences between Bipolar I and Boipolar II disorders. J Bipol. Disord. Rev. Comm. (2006), 5, 10-11. RIHMER Z, RUTZ W. Treatment of attempted suicide and suicidal patients in primary care. In. Oxford Textbook of Suicidology and Suicide Prevention, (Eds: Wasserman, D, Wasserman C.), Oxford University Press, New York, 2009, pp: 463-470. RUTZ W, Rihmer Z. Suicide in men. Suicide prevention for the male person. In: The Oxford Textbook of Suicidology and Suicide Prvention. (Eds. Waserman D, Wasserman C.), Oxford University Press, New York, 2009, pp. 249-255. RIHMER Z, BENAZZI F, GONDA X,. Suicidal behaviour in unipolar depression: Focus on mixed states. In: Suicide in Psychiatric Disorders (Eds. Tatarelli R, Pompili M, Girardi P.) Nova Editorial Inc., New York , 2007, 223-235. RIHMER, Z. GONDA X RIHMER A. Kreativitás és pszichiátriai betegségek. Psychiat. Hung. (2006), 21: 288-294. RIHMER Z: Bipolar II is bipolar, too. Once again. Die Psychiatrie 2006, 2: 2-4. RIHMER Z, GONDA X.: Suicide behaviour of patients treated with antidepressants. Neuropsychopharmacol Hung, 2006, 8, 13-16. RIHMER Z, SEREGI K, HARMATI L, ÁGOSTON G, A vaszkuláris rizikófaktoros jelentősége a depresszió kialakulásában. Hypertónia és Nephrológia, 2007; 11: 168-174. Rihmer Z, Gonda X. A bipoláris betegségek diagnózis és kezelése, Hippocrates, 2006, 8, 160-163. Rihmer Z. Seasonal and latitute effects in the occurrence of bipolar disorders. Acta Psychiatrica Scandinavica, 2007, 115: 251. IF: 3,782. RIHMER Z, HARMATI L. Major depresszió és kardiovaszkuláris betegségek: Terápiás konzekvenciák. In. Őry K. (Ed.) A szív-és érrendszeri negbetegegések idegi-lelki tényezői és ezek terápiája. Springmed Kiadó, Budapest, 2006, pp. 152-169. Pompili M, Iliceto P, Rihmer Z, Akiskal HS, Akiskal KK, Innamorati M, Lester D, Puccinno M, Girardi P, Tatarelli R. Temperament, hopelessness and personality in the determination of suicide risk. Studi su Aggressività e Suicidologia (2008), in press. Rihmer Z. Drug-placebo difference in antidepressant drug trials could be 50% greater than previously believed. Neuropsychopharmacologia Hungarica, 2007, 9, 35-37. RIHMER Z, PESTALITY P. Antidepresaszívumok és hangulatstabilizátorok. In: A Pszichiátria Magyar Kézikönyve, (Szerk. Füredi J, Németh A, Tariska P.), 4. átdolgozott és bővített kiadás Medicina Könyvkiadó, Budapest, 2009, pp 487-500. RIHMER Z, FEKETE S. Öngyilkosság. In. A Pszichiátria Magyar Kézikönyve (szerk. Füredi J, Németh A, Tariska P.), 4. átdolgozottés bővített kiadás, Medicina Könyvkiadó, Budapest, 2009. pp 670-678. RIHMER Z, HARMATI L, KECSKÉS I. A kardiovaszkuláris betegségek kapcsolata a depressziós és Szorongásos kórképekkel. In: A Pszichiátria Magyar Kézikönyve., 4- átdolgozott és bővített kiadás, (Szerk. : Füredi J, Németh A, Tariska P.), Medicina Könyvkiadó, Budapest, 2009. pp. 729-735. SIKTER A, FRECSKA E, BRAUN IM, Rihmer Z. The role of hyperventillation-hypocapnia in the pathomechanism of panic disorder. Revista Brasilieria de Psyquiatria 2007; 29: 375-379. GONDA X, FOUNTOULAKIS K, KAPRINIS G, RIHMER Z: Prediction and prevention of suicide in patients with unipolar depression and anxiety. Annals of General Psychiatry, 2007, 6: 23. RIHMER Z, A bipoláris betegség korszerű szemlélete – Diagnosztikai és terápiás vonatkozások. Neuropsychopharmacol Hung, 2007; 9: (Suppl. 2) 16-27. KALMÁR S, SZÁNTÓ K, RIHMER Z, MAZUMDAR S, HARRISON K, MANN JJ. Antidepressant prescription and suicide rates: Effect of age and gender. Suic Life Threat Behav 2008; 38: 287-301. RIHMER Z, DÖME P, GONDA X, KISS H. G, KOVÁCS D, SEREGI K, TELEKI Z. Cigarette smoking and suicide attempts in psychiatric outpatients in Hungary. Neuropsychopharmacol Hung, 2007; 9: 63-67. PÉTER L, DÖME P, RIHMER Z, KOVÁCS G, FALUDI G. Kardiovaszkuláris betegségek és depresszió: Az epidemiológiai és a lehetséges etiológiai összefüggések áttekintése. Neuropsychopharmacol. Hung, 2008; 10: 81-90. RIHMER Z, Suicide. In: Psychiatric diagnosis: Patterns and prospects (Eds: Salloum I, M., and Mezzich, J. E.), John Wiley and Sons Ltd, Chichester, 2009, pp. 179-186. RIHMER Z, ANGST J, Mood disorders – Epidemiology. In: Kaplan and Sadock’s Comprehensive Textbook of Psychiatry, 9th edition, (Eds. : Sadock B,J, Sadock V.A, Ruiz P), Lippincott Williams and Wilkins, Philadelphia, PA 2009; 1645-1653. Rihmer Z. Suicide and bipolar disorder. In: Bipolar Depression: Molecular neurobiology, Clinical Diagnosis, and Pharmacotherapy (Eds: Zarate CA, Manji HK) Birkhauser Verlag, Basel, 2008, pp. 47-56. RIHMER Z, GONDA X, SZÓKONTOR N. Az antidepresszívumok és az öngyilkosság összefüggése. Gyógyszerészet, 2007; 15: 139-141. GONDA X, PAP D, BAGDY G, Rihmer Z. Szubklinikus depressziók jelentősége a háziorvosi gyakor-latban. Háziorvos Továbbképző Szemle, 2008; 13: 434-437. POMPILI M, INNAMORATI M, GIUPPONI G, RIHMER Z, FERRACUTI S, GIRARDI P, TATARELLI R, AKISKAL HS. Die Wechselwirkungen von Temperament und Personlichkeit bei der Pradiktionen des Suicidrisokos von bipolaren und depressiven Patienten. Nervenarzt, 2009; 80: 315-323. IF: 0,601. POMPILI M, INNAMORATI M, LESTER D, AKISKAL HS, RIHMER Z, DEL CASELE A, AMORE M, GIRADDI P, TATARELLI R. Substance abuse, temperament and suicide risk: Evidence from a case-control study. J Addict Disord 2009; 28: 13-20. Rihmer Z. BENAZZI, F. Impact of impulsivity and affective istability traits on the suicidality of borderline personality. Ann Clin Psychiatry, 2010; 22: 121-128. FOUNTOULAKIS KN, GONDA X, SIAMOULI M, Rihmer Z. Psychotherapeutic interventions and suicide risk reduction in bipolar disorder: A review of the evidence. J Affect Disord, 2009, 113: 21-29 IF: 3,271 . TORZSA P, RIHMER Z, GONDA X, SEBESTYÉN B, SZÓKONTOR N, FALUDI G, KALABAY L. A depresszió prevalenciája az alapellátásban Magyarországon. Neuropsycho-Pharmacologia Hungarica, 2008; 10: 265-270. RIHMER Z, PUREBL GY, FALUDI G, HALMY L. Az elhízás és depresszió kapcsolatai. Neuro-Psychopharmacologia Hungarica, 2008; 10: 183-189. 324, RIHMER Z, A bipoláris betegség korszerű nozológiája. Neuropsychophrmacologia Hungarica, 2008; 10 (suppl.3): 5-12. RIHMER Z, PESTALITY P, Az unipoláris depresszió kezelése. Háziorvos Továbbképző szemle, 2008; 13: 616-624. GONDA X, MOLNÁR E, TORZSA P, Rihmer Z. Az időskori depresszió jellegzetességei. Psychiat. Hung, 2009, 24: 166-174. POMPILI M, RIHMER Z, INNAMORATI M, LESTER D, GIRARDI P, TATARELLI R. Assessment and treatment of suicide risk in bipolar disorder. Expert Review of Neurotherapeutics 2009; 9: 109-136. RIHMER Z, FAWCETT J. Suicide and bipolar disoerders. In: Bipolar Disorder: Clinical and Neuro-biological Foundations. (Eds. Yatham LN, Maj M), John Wiley and Sons, Ltd, 2010, pp. 62-68. RIHMER Z, PUREBL GY. Mirtazapin: Különleges hatásmechanizmus és speciális klinikai előnyök. Neuropsychopharmacol. Hung. 2009; 11: 35-40. SIKTER A, FALUDI G, Rihmer Z. The role of carbod dioxide (and intracellular pH) in the pato-Mechanism of several mental disorders. Neuropsychopharmacol Hung, 2009; 11: 161-173. RIHMER Z, A depressziók korszerű szemlélete. Diagnosztikai és terápiás vonatkozások. Orvostovábbképző Szemle, 2009 március (Pszichiátriai különszám) 3-11. PUREBL GY, Rihmer Z. Az altatószerekkel való kezelés addiktológiai vonatkozásai. In. : Addiktológia II. (szerk. Demetrovics Zs. ), Eötvös Kiadó, Budapest, 2009, pp. 93-99. POMPILI M, ILICETO P, INNAMORATI M, RIHMER Z, LESTER D, AKISKAL H, FERRACUTI S, GIRARDI P, TATARELLI R. Suicide risk and personality traits in physically-sexually abused acute psychiatric inpatients: A preliminary study. Psychol. Reports, 2009; 105: 1-15. RIHMER Z, Farmakoterpia-rezisztens depresszió: Hogyan kerüljük el? Psychiat Hung 2009; 24 (külön-szám): 20-27. PUREBL GY, Rihmer Z. A mirtazapin alvásjavító és szorongáscsökkentő hatásának szerepe a depresz-szióhoz társló öngyilkossági kockázat csökkentésében. Psychiat Hung 2009; 24 (különszám): 6-11. RIHMER Z, DÖME P, ERDŐS P, ORMOS M, MÖLLER H-J, GONDA X. Novel approaches to drug-placebo difference calculation: Evidence from short-term antidepressant drug-trials. RIHMER Z, GONDA X, FOUNTOULAKIS KN. Suicide prevention programs throught education in the frame of healthcare. Psychiat Hung, 2009; 24: 382-387. GONDA X, FOUNTOULAKIS KN, RIHMER Z, LASZIK A, AKISKAL HS BAGDY G. How possible is The development o fan operational psychometric method to assess the presence of the 5-HTTLPR s allele? Equivocal preliminary findings. Annals of General Psychiatry, 2010; 9: 21. FOUNTOULAKIS K, Rihmer Z, Evidence-based suicide prevention through education in the community. In: Evidence-based practice in suicidology: A sourcebook (Eds. Pompili M, Tatarelli R.), Hogrefe Publishing, Göttingen 2011, pp. 153-169. RIHMER Z, A mániás-depressziós kevert állapotok és a szubszindrómális bipoláris betegség diagnosztiaki és terápiás vonatkozásai. Orvostovábbképző Szemle, 2010, Június (különszám), 19-22. RIHMER A, SZILÁGYI S, RÓZSA S, GONDA X, FALUDI G, Rihmer Z.: A gyermekkori abúzusok szerepe a felnőttkori szuicid magatartás kialakulásában. Neuropsychopharmacol Hung 2009; 11: 237-246. RIHMER Z, A quetapin XR antidepresszív hatása unipoláris major depresszióban. Neuropsychopharmacol Hung 2009; 11: 211-215. ILICETO P, POMPILI M, GIRARDI P, LESTER D, VINCENTI C, RIHMER Z, TATARELLI R, AKISKAL HS. : Hopelessness, temperament and health perception in heroin addicts. J Addict Disord 2010; 29: 352-358. DÖME P, KAPITÁNY B, Rihmer Z. A dohánytermékek ára, a dohűnyfogyasztás és az öngyilkossági Ráta közötti összefüggések vizsgálata Magyarországon. Med Thorac, 2010; 63: 403-411. MOLNÁR E, GONDA X, RIHMER Z, BAGDY G. A szezonális depresszió patofiziológiája, diagnnosz-Tikai és epidemiológiai jellegzetességei. Psychiatria Hung, 2010, 407-416. BÓDIZS R, PUREBL GY, Rihmer Z. Hangulat, hangulatingadozások és depresszió: A cirkadián ritmu-sok szerepe. Neuropsychopharmacol Hung, 2010; 12: 277-287. Rihmer Z. Pharmacological prevention of suicide in bipolar patients. In: Bipolar Psycho-Pharmacotherapy: Caring for the patient. 2nd edition (Eds. : Akiskal HS, Tohen M) John Wiley and Sons, 2011, pp. 469-483. 6ARATÓ M, RIHMER Z, CSISZÉR N, FEKETE M, TELEGDY G. Az alvásmegvonás hatása a kortizol szekrécióra endogén depresszióban. Ideggy. Szemle, (1980); 33: 340-345. 121Vecsey T., Harmati L., Szabó Z., Kelemen A., Rihmer Z., Szegedi M.: A szívtranszplantáció pszi­choszociális vonatkozásai, Cardiologia Hung. 23 (1994) 21—24. 139Rihmer Z.: Relationship between recognized depression and suicide in Hungary, International Journal of Methods in Psychiatric Research, 6 (Suppl.) (1996) S15-S20. 140RUTZ W, WALINDER J, PIHLGREN H, von KNORRING L, Rihmer Z. Lessons from the Gotland Study on depression, suicide and education: Effects, shortcomings and challenges. International Journal of Methods in Psychiatric Research, 6 (Suppl.) (1996) S9-S14. 208Rihmer Z.: Öngyilkosság, A pszichiátria magyar kézikönyve, szerk. Füredi J., Németh A., Tariska P., 2. kiadás, Medicina Kiadó: Budapest (2002), 721—728. 209Rihmer Z.: Affektív zavarok. In: Gerontológia, szerk. Tariska P., Medicina Kiadó: Budapest (2002), 327-344. 210Rihmer Z.: Bipolar II is bipolar, too. In: Bipolar disorders, ed. by Maj M., Akiskal HS, López-Ibor YY, Sartorius N., John Wiley and Sons, Ltd.: Chichester (2002), 87-89. 211Rihmer Z., Kecskés I., Harmati L.: Pszichiátria és belgyógyászat. In: A pszichiátria magyar kézikönyve, szerk. Füredi J., Németh A., Tariska P., 2. kiadás, Me­dicina Kiadó: Budapest (2002), 745-751. 212Rihmer Z. Antidepresszív és antimániás gyógyszerek. in: Humán Farmakológia. A racionális gyógyszerterápia alapjai (szerk. Vizi E. Sz. ), Medicina Könyvkiadó, Budapest, (2002), 264-282. 214Rihmer Z., Kiss K. Bipolar disorders and suicide risk. Clin. Appr. Bipol. Disord. (2002), 1:15-21. 215Kiss K., Rihmer Z. Suicide in major affective disorders. Risk factors with particular regards to grief-reaction. Psychopharmacol. Hung. ( 2002) 4:184-192. 220Belső N., Rihmer Z.: Depresszió, szorongásos betegségek és öngyilkosság, A háziorvoslás gyakorlata, Szerk. Arnold Cs., Medicina Kiadó: Budapest (2002), 595-608. 221Rihmer A., Rihmer Z.: Creativity and mental illness, Neuropsychopharmacol. Hung. (2002), 4:5-8. 223Rihmer Z., Belső N., Kiss K., Tüzkő N., Paulin F.: Major depressive disorder and response to citalo­pram treatment in women attending menpoause clinic, In: Mental Health of Women, Ed. by Gaszner P., Halb­reich U., Animula Publ. Co.: Budapest (2002), 32-37. 224Rihmer Z. , Pestality P: Antidepresszívumok és hangulatstabilizátorok. In: A pszichiátria rövidített kézikönyve, Szerk. Füredi J, Németh A., Tariska P. Medicina Kiadó: Buda­pest (2002), 493-510. 225Rihmer Z, Harmati L: Pszichiátria és belgyógyászat. In: A pszichiátria rövidített kézikönyve; Szerk. Füredi J, Németh A., Tariska P. Medicina Kiadó: Buda­pest (2002), 663-673. 228Pestality P, Rihmer Z. A depresszió kezelése, a depresszió gyógyszerei. Praxis( 2003); 12:49-52. 229Döme P, Rihmer Z, Ferencz Cs. : Depresszió és hypothyreosis. Neuropsychopharmacol. Hung . ( 2003); 5: 28-34. 230Mandl P, Rihmer Z, Döme P, Kiss HG, Pestality P, Kecskés I, György S., Belső N: Depresszió, pánikbetegség és dohányzás. Neuropsychopharmacol. Hung. ( 2003) 5: 13-16. 231Tylee A., Rihmer Z.: Suicide and attempted suicide. In: Oxford Textbook of Primary Medical Care, (Ed. : Jones R., Britten N, Culpepper L, et al. ), Volume 2. Clinical Management. Ox­ford University Press: Oxford, 2004, pp. 959-962. 232Rihmer Z. A depressziók eredményes kezelésének hatása az öngyilkossági halálozás alakulására. Orvosképzés (2003) :78: : 95-99. 233Belső N, Kiss K, Rihmer Z, Tüzkő N, Tóth J, Paulin F: Major depressive disorder and response to citalopram treatment in women attending menopause clinic. Int. J. Psychiat. Clin. Pract, ( 2003), 7:269-272 IF: 0,142. 235Rihmer Z. Comorbidity between phobias and mood disorders: diagnostic and treatment implications. In: Panic and Phobias (Ed: Maj M); John Wiley and Sons, Chichester (2004,) pp 103-1. 236DÖME P, Rihmer Z. A dohányzás és a pszichiátriai megbetegedések. Psychiatr.Hung. (2004) ,19: 4-17,. 238RIHMER Z, KISS K. Risk factors for suicide in bipolar disorders. In: Bipolárna Porucha (Ed: Vavrusova, L.) Vydavatlestovo Osveta, Martin, (2004), pp 86-101. 239RIHMER Z, KÁNTOR Z, RIHMER A, SEREGI K. Suicide prevention strategies – A brief review. Neuropsychopharmacol. Hung. (2004), 6: 195-199. 240RIHMER Z, SEREGI K, RIHMER, A. Parkinson’s disease and depression. Neuropsychopharm. Hung. (2004), 6: 82-85. 241Rihmer Z. Suicide in bipolar disorders. Tele-Lecture. Journal of Bipolar Disorders: Reviews and Commentaries. (2004), 3: 10-11. 242RIHMER Z. Is male depressive syndrome bipolar, rather than unipolar ? Journal of Bipolar Disorders: Reviews and Commentaries, (2004), 3: 19. 243Rihmer Z. Depresszív és mániás kórképek. In: Geriátria – Az időslkor gyógyászata (Szerk. Székács B. ), Medicina Könyívkiadó, Budapest, 2005, 199-205. 244ÁGOSTON G, Rihmer Z. Szorongás, paranoid psychosis. In: Geriátria – Az időskor gyógyászata, (Szerk. Székács B. ), Medicina Könyvkiadó, Budapest, 2005, 206-209. 250RÉTHELYI J, SZÁDÓCZKY E, RIHMER Z, BITTER I. Duloxetin, a kettős hatású, szerotonerg-noradrenerg visszavételt gátló szerek csoportjának új tagja. Psychiat. Hung. (2004) 19: 479-486. 251Rihmer Z. Prediction and prevention of suicide in bipolar disorders. Clin. Neuropsychiatr. (2005) 2, 48-54. 252Rihmer Z. A depresszió, mint a kardiovaszkuláris betegségek rizikófaktora. Háziorvos Továbbképző Szemle, (2005), 10: 15-18. 253RIHMER Z, SEREGI K, PESTALITY P. Az unipoláris depresszió farmakoterápiája. Háziorvos Továbbképző Szemle, (2005):10, 567-573. 254ALMÁSI J, Rihmer Z. Az antidepresszívumok áttekintése a TCA-któl a harmadik generációs szerekig. Neuropsychopharmacol Hung, (2005), 6: 185-194. 256RIHMER Z, KECSKÉS I. Növelik-e az antidepresszív szerek az öngyilkosság rizikóját ? Háziorvos Továbbképző Szemle, 2005, októberi különszám, 58-64. 257LAKATOS L, Rihmer Z. 1+1 vagy 2×1 ? Kettős antidepresszív hatásmehanizmus másképp- Neuropsychopharmacol. Hung. (2005), 7: 118-124. 258Rihmer Z. (F)okozzák-e az antidepresszívumok a szuicid rizikót ? Psychiat Hung, (2005), 20: 380-387. 260RIHMER Z Suicide prevention. In: Bipolar Psychopharmacotherapy. Caring for the Patient. (Eds: Akiskal, HS, Tohen, M.) John Wiley and Sons, Chichester, 2006, pp:.353-365. 264Rihmer Z. Antidepressants and suicide (Editorial) Studies on Aggressiveness and Suicide, (2005), 6: 5-9. 265RIHMER Z, ANGST J, Epidemiology of bipolar disorders. In: Handbook of Bipolar Disorders, (Eds. : Kasper S. and Hirschfeld RMA. ), Taylor and Francis, New York, 2005, pp 21-35. 267RIHMER Z, SEREGI K. A vaszkuláris rizikófaktorok jelentősége az időskori depresszió kialakulásában. Háziorvos Továbbképző Szemle, 2006, 11: 344-348. 268RIHMER A,KÁRTESZI M, CSISZÉR N, FARKAS Á,Rihmer Z. Öngyilkossági kísérletet elkövetők pszichiátriai és pszichoszociális jellemzői: A komorbiditás jelentősége. Neuropsychopharmacol. Hung. (2006), 8 (Suppl.) 15-18. 269RÓZSA S, RIHMER A,, KŐ N, GONDA X, SZILI I, SZÁDÓCZKY E, PESTALITY P, Rihmer Z. Az affektív temperamentum: A TEMPS-A kérdőívvel szerzett hazai tapasztalatok. Psychiat. Hung. (2006), 21: 147-160. 270Rihmer Z. Similarities and defferences between Bipolar I and Boipolar II disorders. J Bipol. Disord. Rev. Comm. (2006), 5, 10-11. 271RIHMER Z, RUTZ W. Treatment of attempted suicide and suicidal patients in primary care. In. Oxford Textbook of Suicidology and Suicide Prevention, (Eds: Wasserman, D, Wasserman C.), Oxford University Press, New York, 2009, pp: 463-470. 272RUTZ W, Rihmer Z. Suicide in men. Suicide prevention for the male person. In: The Oxford Textbook of Suicidology and Suicide Prvention. (Eds. Waserman D, Wasserman C.), Oxford University Press, New York, 2009, pp. 249-255..
273RIHMER Z, BENAZZI F, GONDA X,. Suicidal behaviour in unipolar depression: Focus on mixed states. In: Suicide in Psychiatric Disorders (Eds. Tatarelli R, Pompili M, Girardi P.) Nova Editorial Inc., New York , 2007, 223-235. 275RIHMER, Z. GONDA X RIHMER A. Kreativitás és pszichiátriai betegségek. Psychiat. Hung. (2006), 21: 288-294. 277RIHMER Z: Bipolar II is bipolar, too. Once again. Die Psychiatrie 2006, 2: 2-4. 278RIHMER Z, GONDA X.: Suicide behaviour of patients treated with antidepressants. Neuropsychopharmacol Hung, 2006, 8, 13-16. 279RIHMER Z, Chromosome 9 and the genetics of bipolar I disorder. Bipol. Disord, 2007, 9: 669. 280RIHMER Z, SEREGI K, HARMATI L, ÁGOSTON G, A vaszkuláris rizikófaktoros jelentősége a depresszió kialakulásában. Hypertónia és Nephrológia, 2007; 11: 168-174. 281GONDA X, RIHMER Z, JUHÁSZ G, ZSOMBOK T, BAGDY G. Higeh anxiety and migraine are associated with the s allele of the 5HTTLPR gene polymorphism. Psychiat Res. 2007; 149: 261-266. 283Rihmer Z, Gonda X. A bipoláris betegségek diagnózis és kezelése, Hippocrates, 2006, 8, 160-163. 287Rihmer Z. Seasonal and latitute effects in the occurrence of bipolar disorders. Acta Psychiatrica Scandinavica, 2007, 115: 251. IF: 3,782. 288RIHMER Z, HARMATI L. Major depresszió és kardiovaszkuláris betegségek: Terápiás konzekvenciák. In. Őry K. (Ed.) A szív-és érrendszeri negbetegegések idegi-lelki tényezői és ezek terápiája. Springmed Kiadó, Budapest, 2006, pp. 152-169. 290RÓZSA S, RIHMER Z, GONDA X, SZILI I, RIHMER A, KŐ N, NÉMETH A, PESTALITY P, BAGDY G, ALHASOON O, AKISKAL K, K, AKISKAL H, S, A study of affective temperaments in Hungaty: Internal consistency and concurrent validity of the TEMPS-A against the TCI and NEO-FFI. 291Pompili M, Iliceto P, Rihmer Z, Akiskal HS, Akiskal KK, Innamorati M, Lester D, Puccinno M, Girardi P, Tatarelli R. Temperament, hopelessness and personality in the determination of suicide risk. Studi su Aggressività e Suicidologia (2008), in press. 292Rihmer Z. Drug-placebo difference in antidepressant drug trials could be 50% greater than previously believed. Neuropsychopharmacologia Hungarica, 2007, 9, 35-37. 293RIHMER Z, PESTALITY P. Antidepresaszívumok és hangulatstabilizátorok. In: A Pszichiátria Magyar Kézikönyve, (Szerk. Füredi J, Németh A, Tariska P.), 4. átdolgozott és bővített kiadás Medicina Könyvkiadó, Budapest, 2009, pp 487-500. 294RIHMER Z, FEKETE S. Öngyilkosság. In. A Pszichiátria Magyar Kézikönyve (szerk. Füredi J, Németh A, Tariska P.), 4. átdolgozottés bővített kiadás, Medicina Könyvkiadó, Budapest, 2009. pp 670-678. Szorongásos kórképekkel. In: A Pszichiátria Magyar Kézikönyve., 4- átdolgozott és bővített kiadás, (Szerk. : Füredi J, Németh A, Tariska P.), Medicina Könyvkiadó, Budapest, 2009. pp. 729-735. 297SIKTER A, FRECSKA E, BRAUN IM, Rihmer Z. The role of hyperventillation-hypocapnia in the pathomechanism of panic disorder. Revista Brasilieria de Psyquiatria 2007; 29: 375-379. 298GONDA X, FOUNTOULAKIS K, KAPRINIS G, RIHMER Z: Prediction and prevention of suicide in patients with unipolar depression and anxiety. Annals of General Psychiatry, 2007, 6: 23. 302,RIHMER Z, A bipoláris betegség korszerű szemlélete – Diagnosztikai és terápiás vonatkozások. Neuropsychopharmacol Hung, 2007; 9: (Suppl. 2) 16-27.
prescription and suicide rates: Effect of age and gender. Suic Life Threat Behav 2008; 38: 287-301. NARCISO V, FERRACUTI S, TATARELLI R, DE PISA E, GIRARDI P. Temperament and personality dimensions in suicidal and non-suicidal psychiatric inpatients. Psychopathology 2008; 41: 313-321. J. E.), John Wiley and Sons Ltd, Chichester, 2009, pp. 179-186. Wilkins, Philadelphia, PA 2009; 1645-1653. Diagnosis, and Pharmacotherapy (Eds: Zarate CA, Manji HK) Birkhauser Verlag, Basel, 2008, pp. 47-56. 311, RIHMER Z, GONDA X, SZÓKONTOR N. Az antidepresszívumok és az öngyilkosság összefüggése. latban. Háziorvos Továbbképző Szemle, 2008; 13: 434-437. Suicidrisokos von bipolaren und depressiven Patienten. Nervenarzt, 2009; 80: 315-323. IF: 0,601.
temperament „phenotype” of 5-HTTLPR using the TRMPS-A. J Affect Disord, 2009; 112: 19-29.
suicide risk reduction in bipolar disorder: A review of the evidence. J Affect Disord, 2009, 113: 21-29. 321, TORZSA P, RIHMER Z, GONDA X, SEBESTYÉN B, SZÓKONTOR N, FALUDI G, KALABAY L.
Psychopharmacologia Hungarica, 2008; 10: 183-189. 326, GONDA X, MOLNÁR E, TORZSA P, Rihmer Z. Az időskori depresszió jellegzetességei. Psychiat. in a psychiatrically healthy population. Eur Arch Psychiatry Clin Neurosci, 2009; 259: 106- 113. 328, RIHMER Z, GONDA X, RIHMER A, FOUNTOULAKIS KN. Suicide and violence in mood disorders. and treatment of suicide risk in bipolar disorder. Expert Review of Neurotherapeutics 2009; 9: 109-136.
biological Foundations. (Eds. Yatham LN, Maj M), John Wiley and Sons, Ltd, 2010, pp. 62-68. 336, RIHMER Z, PUREBL GY. Mirtazapin: Különleges hatásmechanizmus és speciális klinikai előnyök. Neuropsychopharmacol. Hung. 2009; 11: 35-40. Mechanism of several mental disorders. Neuropsychopharmacol Hung, 2009; 11: 161-173. 338, RIHMER Z, A depressziók korszerű szemlélete. Diagnosztikai és terápiás vonatkozások. Orvostovábbképző Szemle, 2009 március (Pszichiátriai különszám) 3-11.
attempt characteristics may orientate toward bipolar disorder in attempters with recurrent depression. 341, PUREBL GY, Rihmer Z. Az altatószerekkel való kezelés addiktológiai vonatkozásai. In. : Addiktológia II. (szerk. Demetrovics Zs. ), Eötvös Kiadó, Budapest, 2009, pp. 93-99. 343, RIHMER Z, AKISKAL KK, RIHMER A, AKISKAL HS. Current research on affective temeprament. MARUSIC A, SARCHIAPONE M. Suicidality in prisoners : Risk linked to impulsivity. J Affect Disord. psychiatric inpatients: A preliminary study. Psychol. Reports, 2009; 105: 1-15. 346, DÖME P, LAZARY J, KALAPOS M, RIHMER Z, Smoking, nicotine and neuropsychiatric disorders. szióhoz társló öngyilkossági kockázat csökkentésében. Psychiat Hung 2009; 24 (különszám): 6-11.
placebo difference calculation: Evidence from short-term antidepressant drug-trials. frame of healthcare. Psychiat Hung, 2009; 24: 382-387. The development o fan operational psychometric method to assess the presence of the 5-HTTLPR s allele? Equivocal preliminary findings. Annals of General Psychiatry, 2010; 9: 21. Hogrefe Publishing, Göttingen 2011, pp. 153-169.
és terápiás vonatkozásai. Orvostovábbképző Szemle, 2010, Június (különszám), 19-22. 355, RIHMER Z, Prevention of suicide in mood-disorder patients: Individual and public health perspective. 357, GAZDAG G, BARAN B, RIHMER Z, FINK M. The end of the asylum era in Central-Eastern Europe. szerepe a felnőttkori szuicid magatartás kialakulásában. Neuropsychopharmacol Hung 2009; 11: 237-246. Ráta közötti összefüggések vizsgálata Magyarországon. Med Thorac, 2010; 63: 403-411. Tikai és epidemiológiai jellegzetességei. Psychiatria Hung, 2010, 407-416.
sok szerepe. Neuropsychopharmacol Hung, 2010; 12: 277-287. 367, Rihmer Z. Should the same antidepressant be administered if a depressive episode recurs? John Wiley and Sons, 2011, pp. 469-483. 372, RIHMER, Z, GONDA X. Antidepressant-resistant depression: The role of underlying bipolarity.